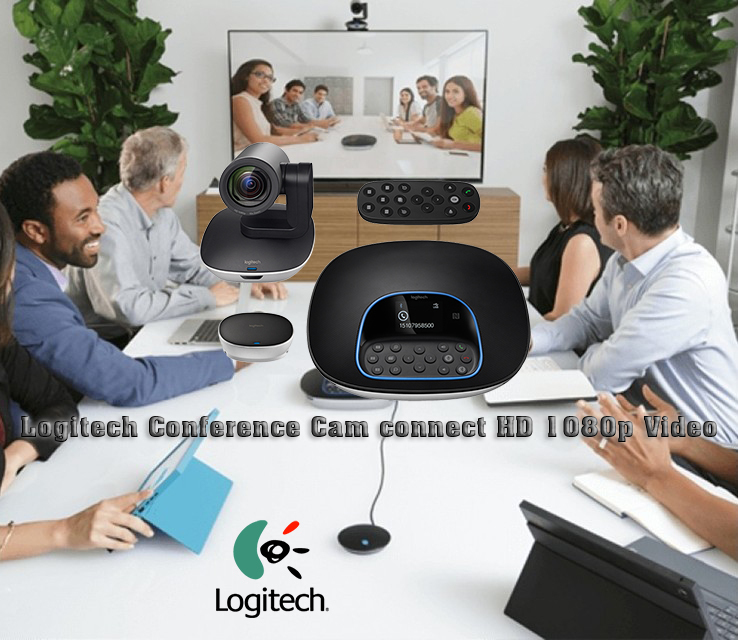 The Logitech HD Laptop Webcam C615 with Fold-and-Go Design, 360-Degree Swivel, 1080p Camera lets you chat with your friends and family around the world. 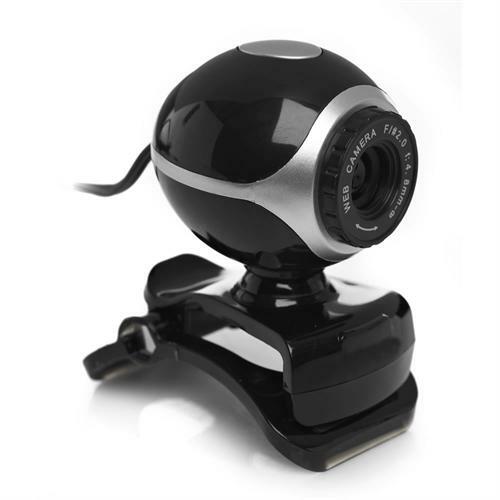 It is a stylish, compact, foldable web camera which can be easily carried around. 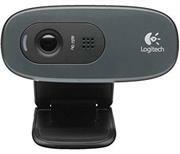 The Logitech C615 Camera comes with a tripod stand for easy and secured placement. You can easily rotate it to 360 degrees for your convenience. 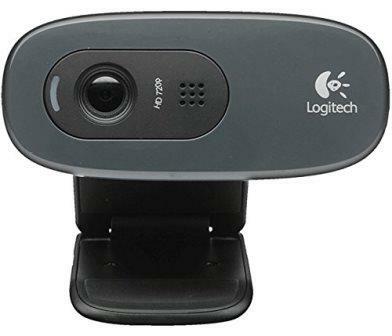 This foldable webcam supports 720p HD video calling over the Internet without any delay, which contributes towards a realistic experience that makes you feel as if you're conversing in person. You can record full HD 1080p resolution videos with smooth motion. The Logitech Fluid Crystal Technology of this portable web camera eliminates chops and cuts in the video output offering continuous delivery without the need for buffering. The audio output is loud and clear too. The auto-focus feature helps in capturing perfect close-up shots. This 360 degree web camera ensures sharp, bright, superior quality images with the 8MP camera resolution. For on-the-go professionals, Logitech B525 HD Webcam makes it easy to bring a webcam to every meeting. The compact, folding design simplifies travel, and features a universal mounting clip for your laptop or other device. 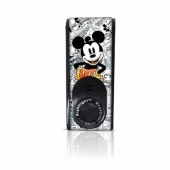 High-definition video presents clear images for every participant to see. 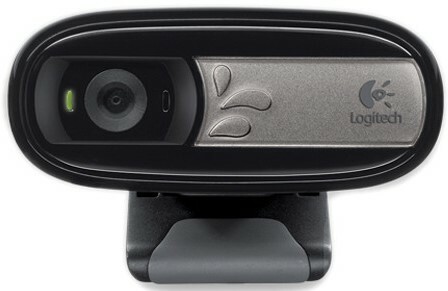 The Logitech® HD Webcam C270. HD video calling is that's simple. 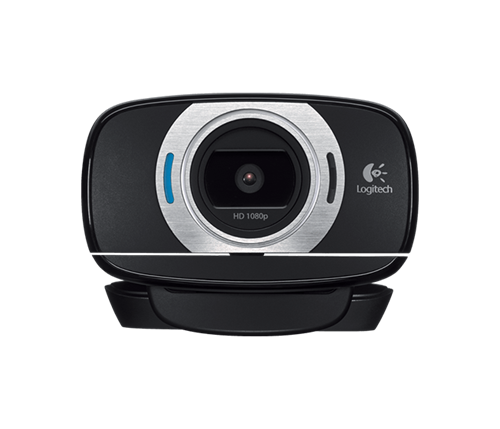 You'll enjoy an HD 720p video call on most major instant messaging applications and Logitech Vid™ HD-the free, fast and easy way to see your loved ones face to face. You can take 3MP photos (software enhanced) with just one click. 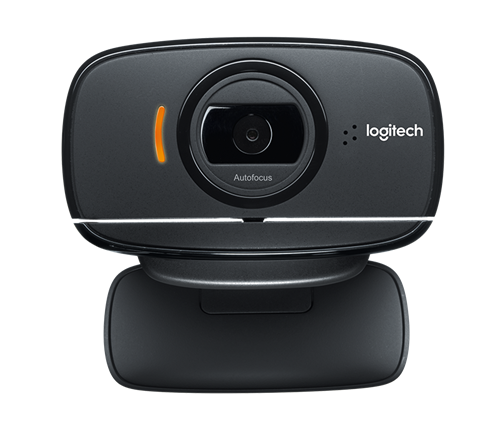 And your webcam has built-in software that adjusts to low light and background noise-so you can focus on what matters. Send your family and friends a picture when you don't have time to talk or record a video. 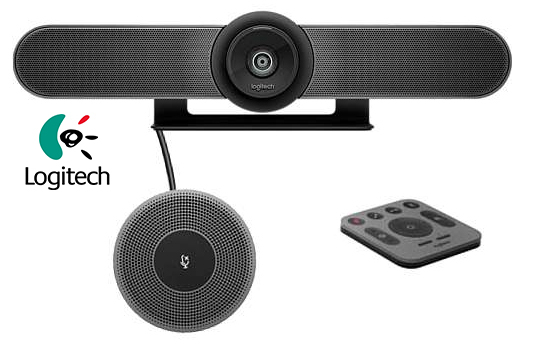 Sharing, socializing, connecting with the people you care about - that's what makes a webcam different. 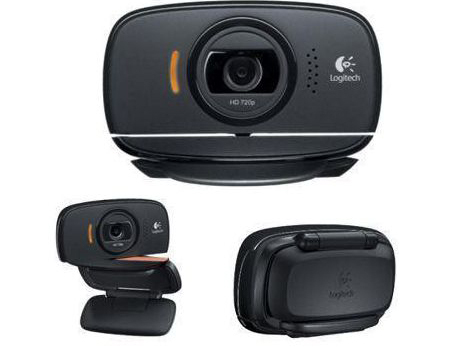 And Logitech HD webcams are about sharing your life - but bigger, better, brighter, smoother. High-def. yourself. The Logitech C170 webcam offers exceptional VGA resolution on video calls and clear conversations thanks to RightSound technology, which effectively cancels out background noise on the built-in microphone with noise reduction, so you can clearly hear who you are talking with. 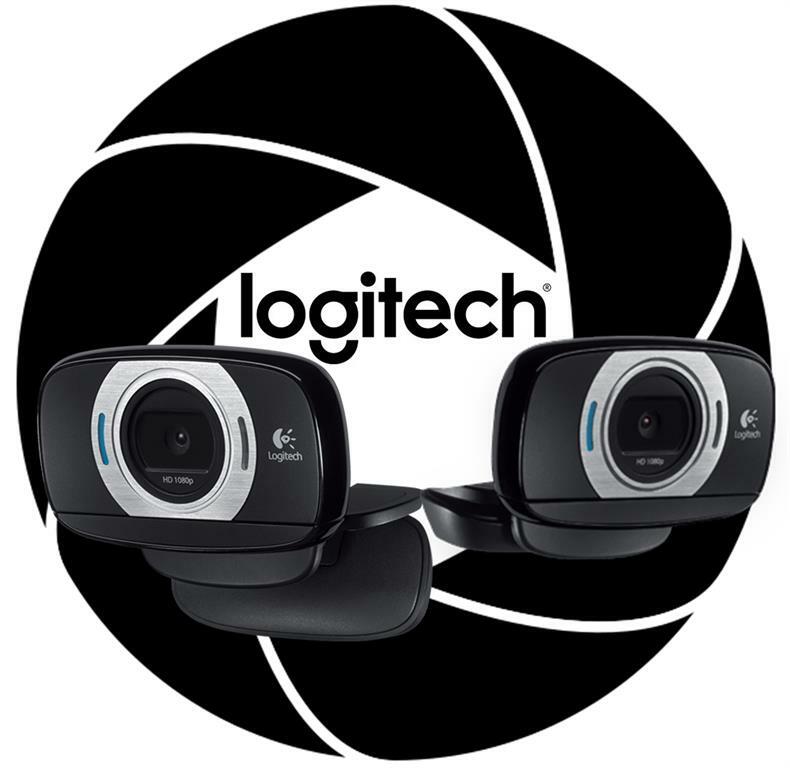 Logitech Fluid Crystal™ Technology. 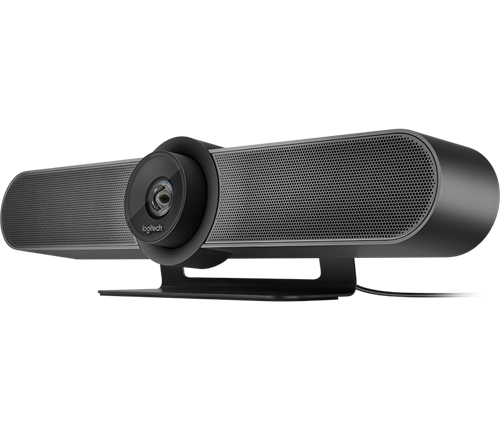 It’s what makes a Logitech webcam better. It’s smoother video, sharper pictures, richer colors and clearer sound in real-world conditions. 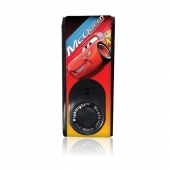 Record lively, colourful videos in XVGA 1024 x 768 resolution, and take beautiful 5MP high resolution pictures with this high quality VGA webcam. 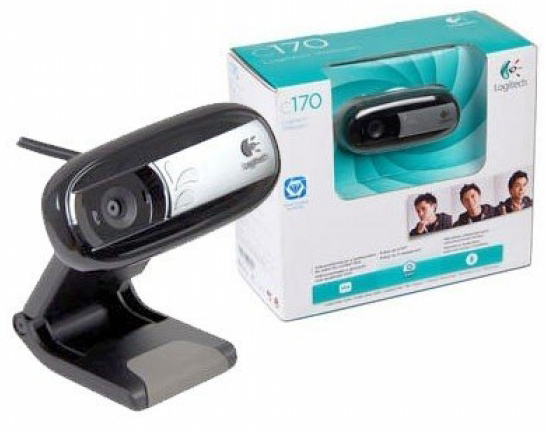 The webcam also includes a universal clip that can attach to your laptop or desktop monitor. Keep in touch and in sight with powerful Web communications pair. 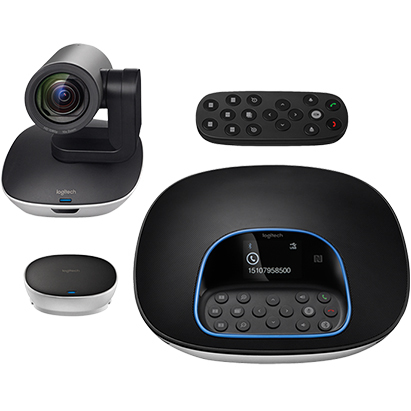 Ideal for instant messaging and VoIP, the MANHATTAN Web Communicator Combo helps improve Skype, Windows Live, AIM and other online experiences with high-quality audio and video. Automatic color balance, exposure and brightness controls combine for professional results and included software simplifies camera operation and adds special video and frame effects to personalize conversations. The lightweight, around-the-ear single headset with an adjustable omni-directional condenser microphone adjusts to suit most listening environments at home and the office or on the road. Keep in touch and in sight on the Web. 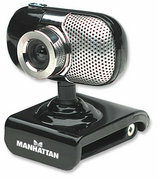 The MANHATTAN Web Cam 500 SX helps improve online communications and experiences with high-quality photos and video. With simple, operation and easy-to-use software, its 5.0-megapixel (software interpolated) CMOS lens captures crisp and clear images and smooth, steady video to share with family and friends. 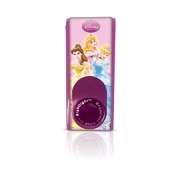 Automatic color balance, exposure and brightness controls combine for professional results. Its versatile base with universal clip and swivel mount easily installs with most flat-panel displays and notebook or netbook computers.